And that brings us to today’s featured wedding favor – a personalized compass. I love the idea of a wedding as the start of your next big adventure, so why not send your guests back into the world with a little guidance. 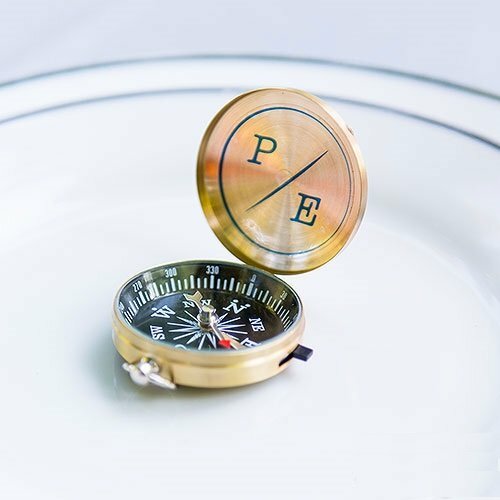 These personalized compasses are the perfect “fun” favor! The compass is housed in brushed brass and is the perfect way to say “thanks” to your guests for being part of your adventure. And, you can add a personalized label if you choose! You’ll find this personalized compass here.